You know what they say: you haven’t truly experienced Dubai unless you’ve been to one of the city’s many Friday brunches, darling. 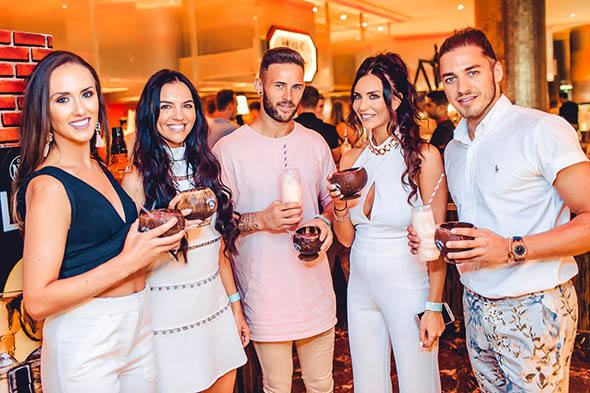 But what they should actually be saying is that you haven’t truly brunched unless you’ve been to the legendary Saffron Brunch at Atlantis, The Palm. 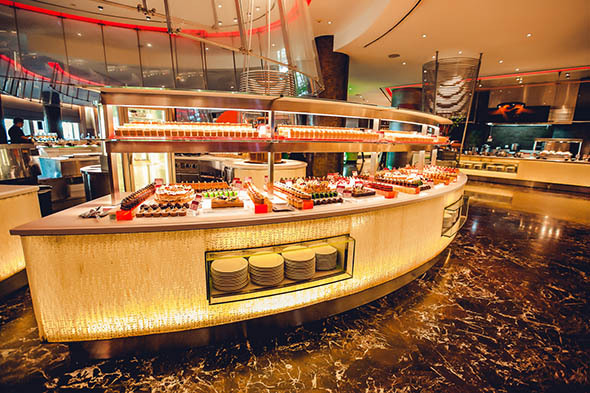 Long-time Dubai residents will regale you with tales of row upon row of food stations filled with delectable Asian-inspired cuisine. While visitors to our fair city have all heard the whispers of just how epic an afternoon’s brunching at Saffron is, dropping hints at how eager they are to check it out. And who can blame them? 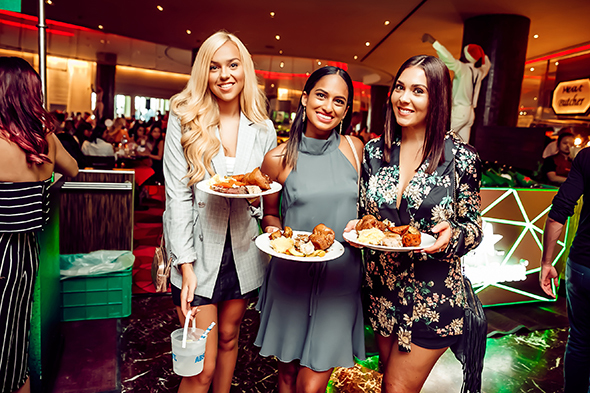 With a reputation that precedes itself, we’re here to tell you five of the top reasons why this Friday (and any subsequent ones) should be spent basking in the food, fun and festivities that greet you at the Saffron Brunch. If you’re in the mood for a proper party atmosphere, then it doesn’t get much better than Saffron. 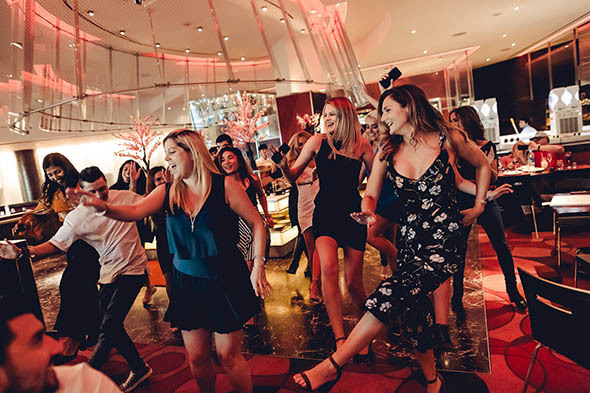 Whether you’re flying solo or getting the gang together to celebrate with the venue’s trademark ‘big fat birthday celebration’, get ready to share the dance floor with like-minded revelers who are all out for a good time. What is a brunch without food? Well, fret not because Saffron has you covered. With 20 theatrical cooking stations (to add a little pizzazz to your dining) offering up over 220 mouth-watering dishes, you can choose between a raw bar & oyster station, live carving and focus on the delicious tastes of Asia and beyond, including Malaysian, Cantonese, Japanese and even British classics. Oh, and did we mention they have a simply epic chocolate fountain to indulge your sweet tooth with? DJ Soul Ninja is on the ones-and-twos all brunch long, spinning 80’s and 90’s classics guaranteed to get you up and shaking your money-maker. Alongside the DJ, there are four mind-blowing dance and entertainment acts scattered across the course of the afternoon, with a boisterous MC to help pump up the crowd and make special announcements upon request. Sixteen different drinks stations offer up a frankly bonkers selection of grape, hops, sparkling or soft libations, ensuring that if there’s a particular beverage you’re in the mood for, you can pretty much guarantee you’ll be able to get it. Ask anyone what the worst part of a brunch is and they will tell you that at some point it has to end Not here, friend. 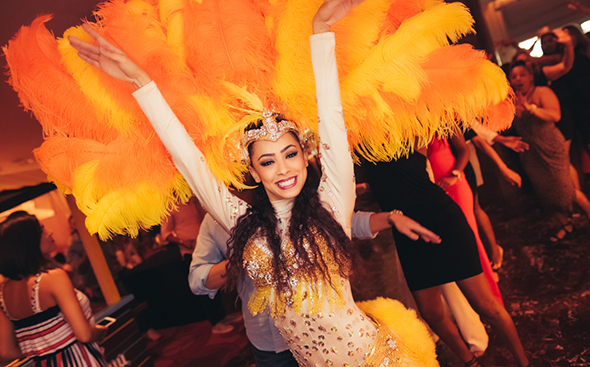 As part of the package you’ll get access to the Saffron Brunch after party at the uber-chic Nasimi beach so you can keep the party going. After your fourth drink, join in the “Limbo Train” – we know you want to. The Saffron Brunch costs Dhs535 including house drinks and takes place from 12.30pm to 4pm every Friday at Saffron Restaurant, Atlantis, The Palm.